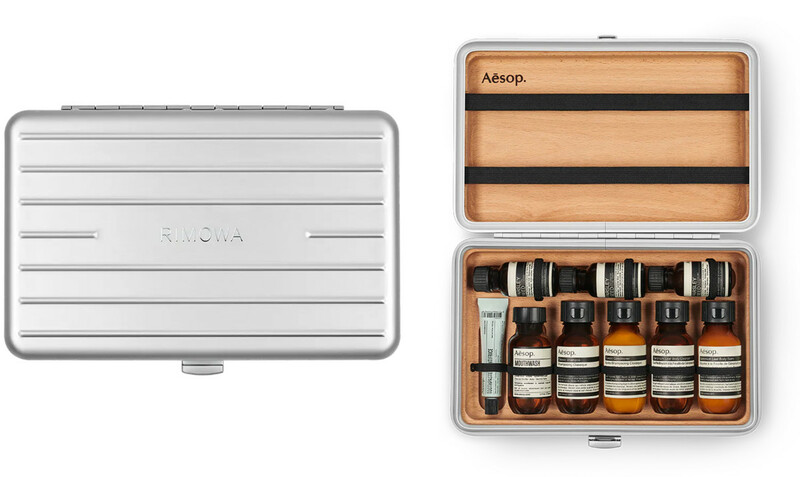 A customized and edited kit of travel-friendly Aesop essentials. 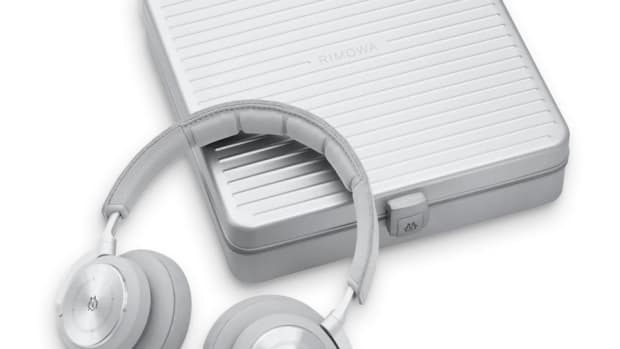 Rimowa is releasing a limited edition toiletry kit and they&apos;ve teamed up with none other than Australian luxury skin care brand, Aesop. 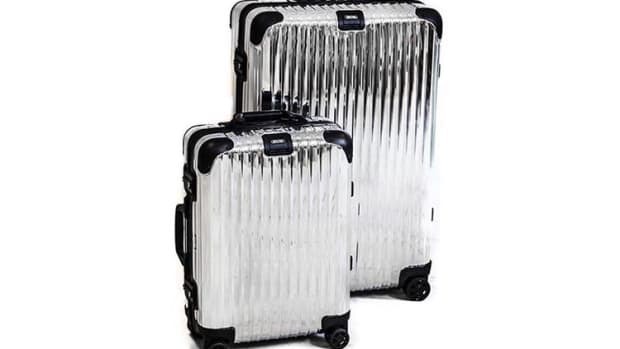 The company created a customized aluminum travel case with a wooden inlay that comes with a perfectly edited list of Aesop essentials that include their Classic Shampoo and Conditioner, Geranium Leaf Body Cleanser and Body Balm, Mouthwash, Toothpaste, and trio of Parsley Seed skin care formulations, all of which are secured by elastic straps to keep it all neat and tidy. 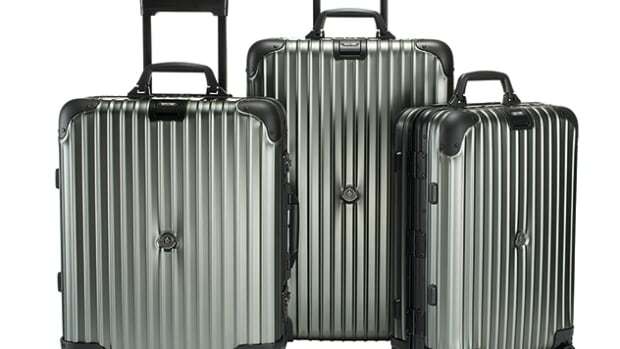 The signature grooves get updates in a sleek metallic grey.